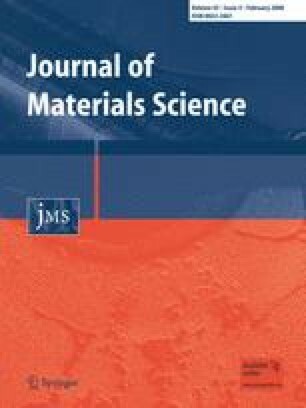 Ultrathin Langmuir-Blodgett film properties of tert-butyl silicon-[bis ethyloxy]-phthalocyanine (tbPcSi(OC2 H5)2) have been studied and characterised. Surface pressure–area isotherms reveal an area per molecule of around 0.85 nm2, and that a compact ‘solid’ phase occurs in the region 10–30 m N m−1. LB films of different thicknesses were deposited onto gold interdigitated electrodes on glass in order to facilitate I–V measurements and assess the conductometric sensing properties in response to 5 ppm NO2. The I–V characteristic is Ohmic and yields conductivity in the range comparable to that obtained for other phthalocyanine monomers. The gas sensing behaviour of these films in response to NO2 was investigated and modelled using a double exponential model. Preliminary UV–visible spectroscopic investigations indicate that the film also responds optically. This work was partially supported by the Physics and Astronomy Department, University of Sheffield. AF would like to thank Mr Alex McNaughton for the use of the Accerlys software and Dr Alan Dunbar for helpful discussions.